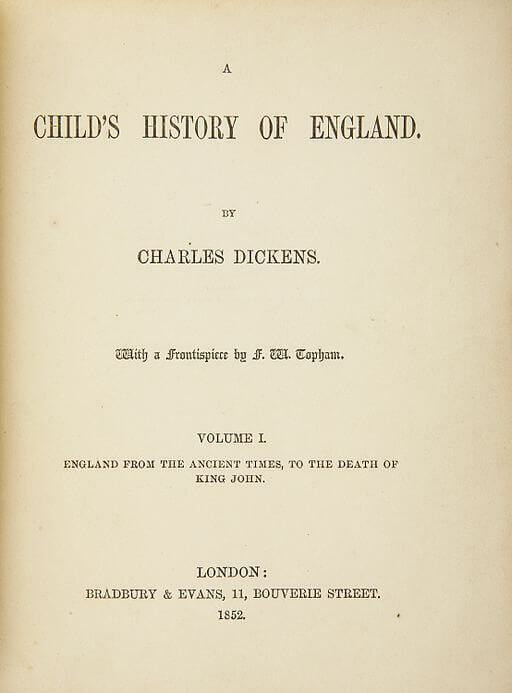 A Child's History of England was published as a serial in Dicken's magazine, Household Words between 1851-1853. He summarizes in separate chapters the reigns of England's monarchy, from Henry III to Richard III. Contrary to the novel's title, it's more suitable to adults than children, in our humble opinion.